The Valencia 200 Series is highlighted by the newly developed 204H Hybrid model. Featuring a 45 mm neck width at the nut and a 25-5/8 in. scale length, the Hybrid is especially designed with a thinner neck to accommodate the smaller hands of some beginners. The guitar has been comprised of a Sitka Spruce top, nato back and sides, Jabon neck, Mahogany fingerboard and bridge. The Hybrid is especially designed to accommodate the smaller hands of some beginner players. 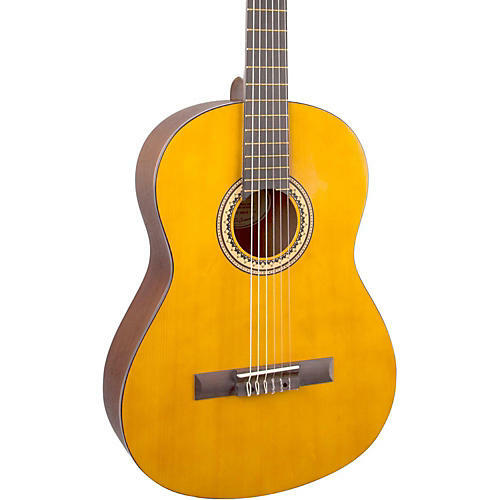 For superior stability and strength, the necks of these models feature two central, reinforcing strips of rosewood installed along the entire neck length. All Series 200 models feature an arched back for increased tonal response and projection.